Dyslexia is a common reading disorder, but few probably know there are different kinds of it, each with unique symptoms. 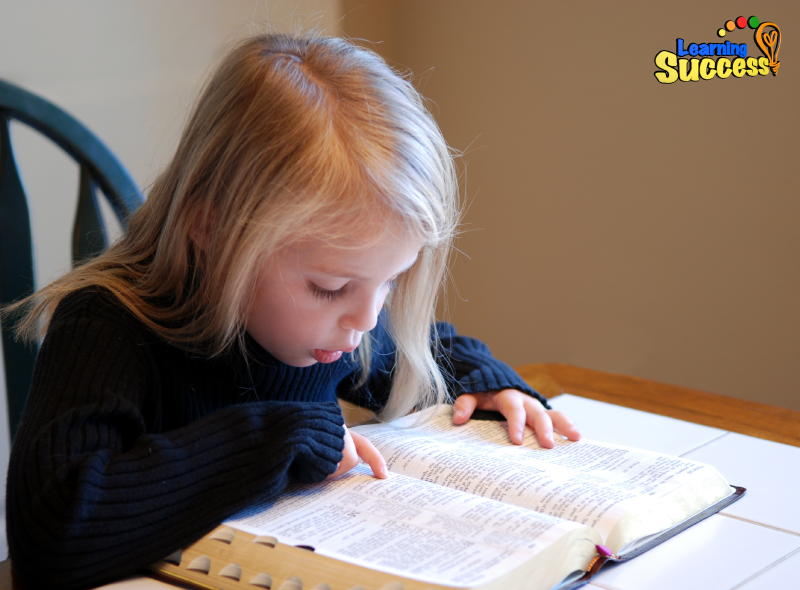 A 2010 study from Tel Aviv University, Israel revealed a reading disorder called "attentional dyslexia." This varation of dyslexia causes people to "identify letters correctly, but the letters jump between words on the page." For example, "kind wing" would be read as "wind king". A different type of dyslexia that parents should look out for. This is different from the typical understanding of dyslexia, where children substitute letters when reading. When it comes to attentional dyslexia, the substitutions are not related to identifying letters or converting words into sounds. Instead, the letters from some words actually migrate to other words. The most common variation is that the first letter of one word would switch places with the first letter of another word. "Recognizing that there are different types of dyslexia helps to treat the children who suffer from it." 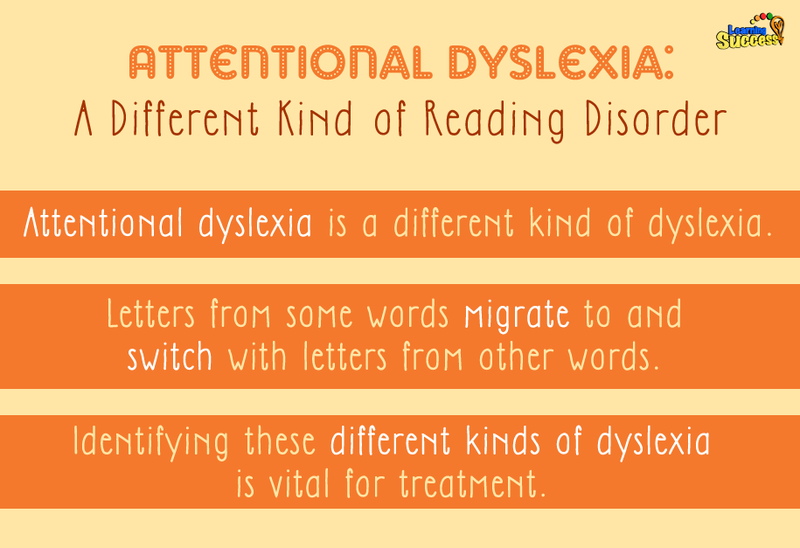 While this difference may seem minor at first glance, it's vital that the specifics of one's dyslexia be addressed. Recognizing that there are different types of dyslexia helps to treat the children who suffer from it. After all, we must know what their specific reading and writing problems are before they can be treated. Attentional dyslexia is a different kind of dyslexia. Letters from some words migrate to and switch with letters from other words. Identifying these different kinds of dyslexia is vital for treatment. Use our simple online analysis tool to help you find what areas need to be strengthened. Screen for dyslexia with our new dyslexia screener. Get immediate results emailed and even learn the type of dyslexia. Try the screener here.